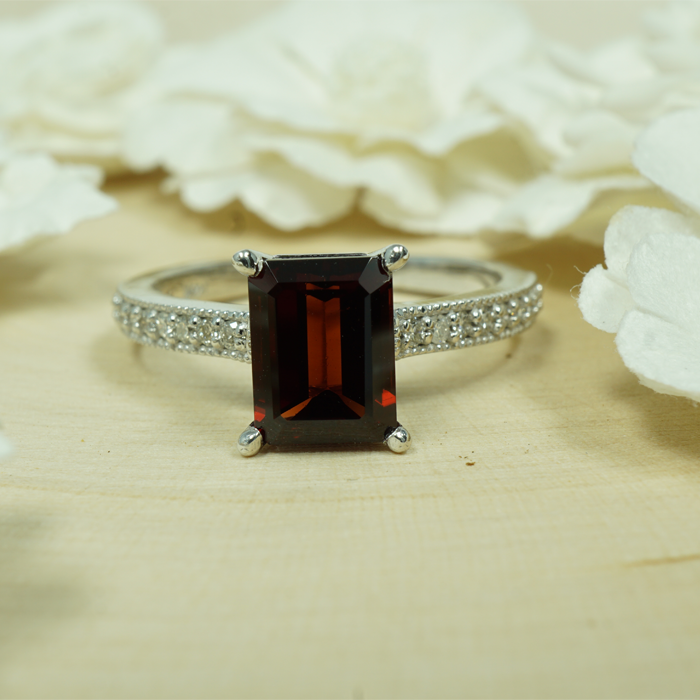 We can help you create the perfect piece. 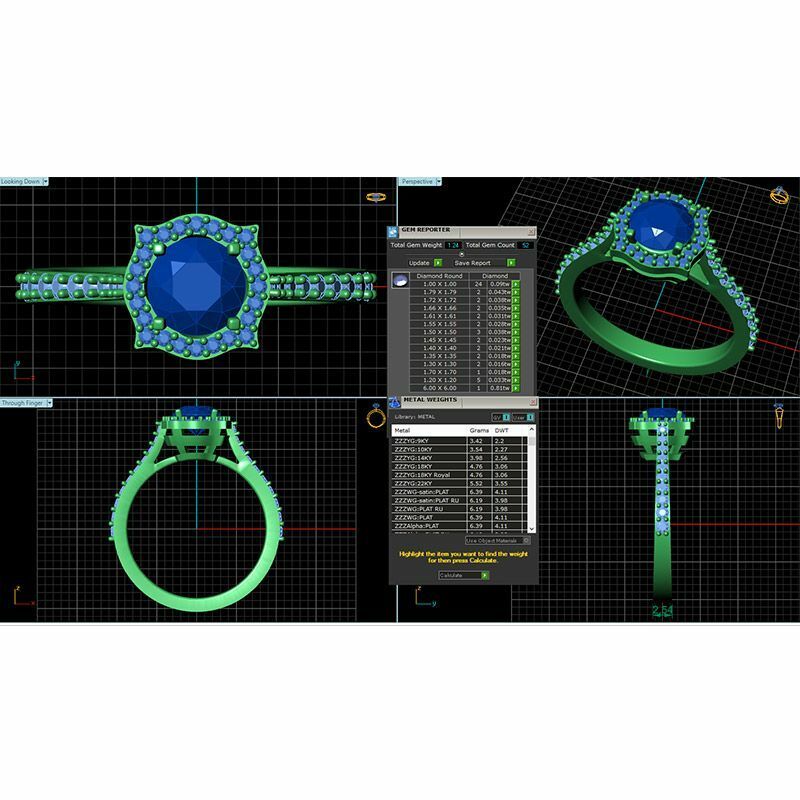 Whether it’s your own sketch or onspirations from existing styles, we invite you to share your ideas to design custom ring. Please follow the step below to create your own unique piece. Fill out the information below to get a price quote within 1-2 business days. Our designers will prepare realistic renderings for your approval in 2-3 business days. 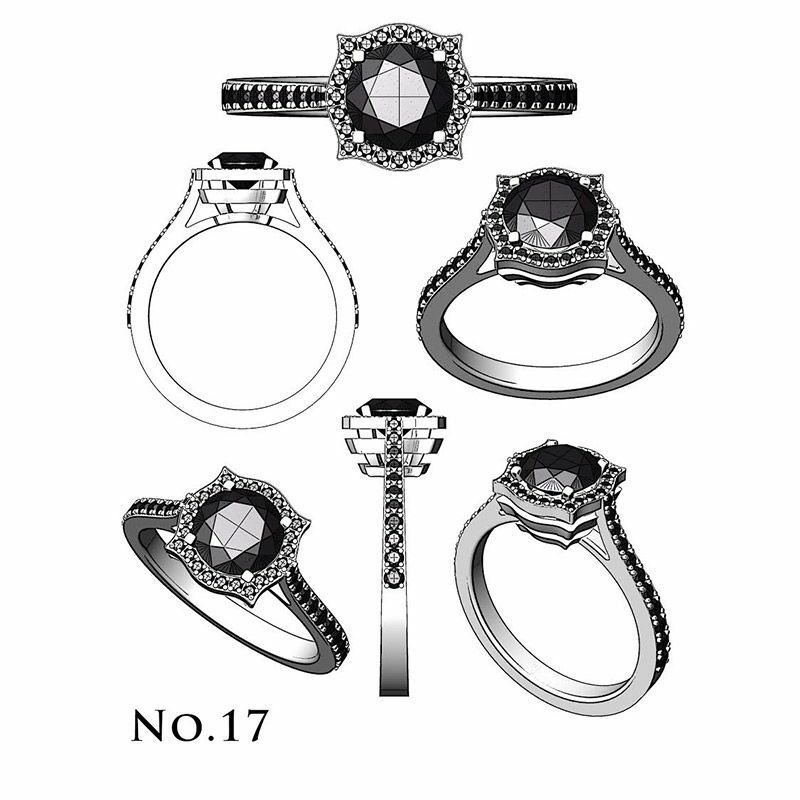 Once the design is approved, you will have your hand crafted piece within 7-10 business days! If you have any sketch, or inspiration please upload here. 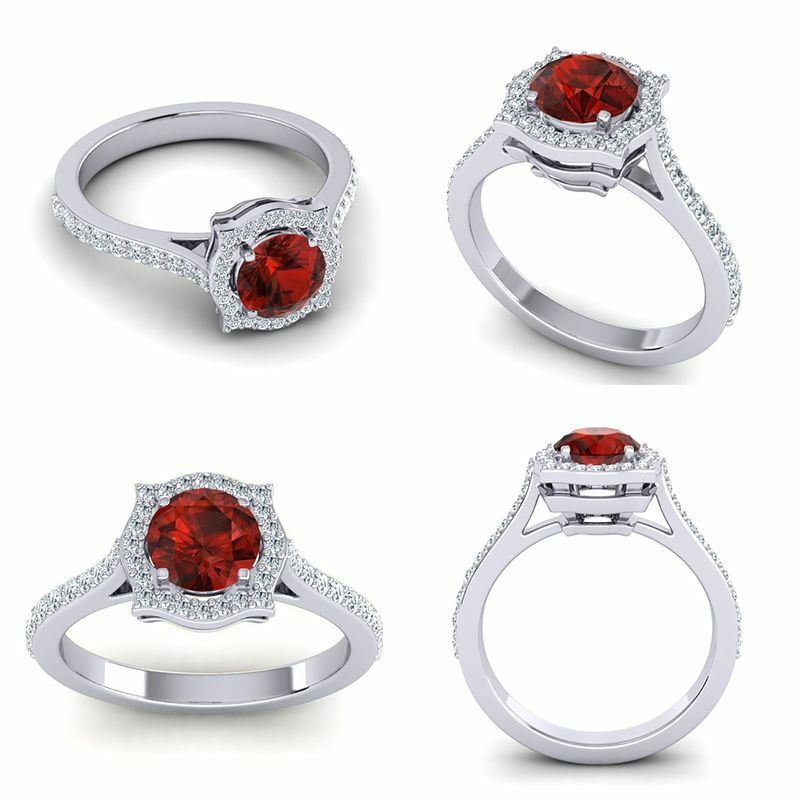 If you are not sure what type of design you want, one of our designers can contact you. By checking the box below and clicking “AGREE”, and electronically signing your name in the space provided, you are entering into this Content License Agreement with Azeera Inc., which hereby agrees to enter into this Content License Agreement with you. I have read this Content License Agreement, understand its terms, agree with its terms, and futher agree to enter into the Content License Agreement with Azeera Inc. which I understand is binding as a matter of law. Well done! Your design request has been submitted, please allow us 1-2 business days to provide you with a price quote. This Content License Agreement ("Agreement"), dated as of the date hereof (the "Effective Date"), is by and between you, an individual, entity, or both (if joint authors) ("Licensor"), and Azeera, Inc., a New York corporation with offices located at 339 North Main St., New City, New York, 10956 ("Licensee"). WHEREAS, Licensor is willing to license the Licensed Content to Licensee, subject to all terms and conditions set forth herein. Affiliate" of a Person means any other Person that directly or indirectly, through one or more intermediaries, controls, is controlled by, or is under common control with, such Person. The term "control" (including the terms "controlled by" and "under common control with") means the direct or indirect power to direct or cause the direction of the management and policies of a Person, whether through the ownership of voting securities, by contract or otherwise. Confidential Information" means any information that is treated as confidential by a party, including, without limitation, trade secrets, technology, information pertaining to business operations and strategies, and information pertaining to customers, pricing and marketing. Content Item" means each discrete creative work (for example, article, photograph or video), as designated by the Licensor, that is included in the Licensed Content. “Derivative Work” means any derivative work of the Licensed Content created by Licensee. Disclosing Party" has the meaning set forth in Section 10.1. Effective Date" has the meaning set forth in the preamble. For the avoidance of doubt, this date shall be the date upon which the Licensor agrees to the terms of this Agreement. End User" means each natural person that has access to Licensed Content on the Licensee Site or Related Media. "Law" means any statute, law, ordinance, regulation, rule, code, order, constitution, treaty, common law, judgment, decree, other requirement or rule of law of any federal, state, local or foreign government or political subdivision thereof, or any arbitrator, court or tribunal of competent jurisdiction. Licensed Content" means any and all materials submitted by Licensor, as may be amended by the parties as set forth herein. Licensee" has the meaning set forth in the preamble. Licensee Site" means the website owned, operated and controlled by Licensee, located at www.azeera.com. Licensor" has the meaning set forth in the preamble. Mark" means any trademark, trade name, service mark, design, logo, domain name or other indicator of the source or origin of any product or service. Person" means an individual, corporation, partnership, joint venture, limited liability entity, governmental authority, unincorporated organization, trust, association or other entity. Recipient" has the meaning set forth in Section 10.1. Related Media" means those mobile sites, mobile applications (apps), widgets, gadgets, RSS feeds, e-mail newsletters and other content delivery media owned, operated and controlled by Licensee and identified in Schedule 1. Term" has the meaning set forth in Section 6.1. Delivery of Content. Licensor shall deliver to Licensee the Licensed Content upon execution of this Agreement. Licensee shall not include Licensed Content on the Licensee Site or any Related Media other than as expressly permitted herein and in accordance with all terms and conditions of Section 4. Licensee shall not make the Licensed Content available, or otherwise use the Licensed Content, except as expressly licensed pursuant to Section 3.1. Any use by Licensee of the Licensed Content on any other website, mobile site or application or other media of Licensee other than the Licensee Site and Related Media as expressly provided herein requires a separate written agreement between Licensor and Licensee. Licensor shall not permit any use of the Licensed Content by any Person (including Licensee's Affiliates), other than as expressly provided in Section 3.1 with respect to End Users. Licensee shall not permit the Licensed Content to be, or appear to be, reproduced, displayed or distributed on, as part of or in connection with any website or other online (including mobile) area other than the Licensee Site and Related Media, whether by framing, in-line linking, appearing in a new window or otherwise. If Licensor instructs Licensee to delete or make inaccessible any Content Item because such Content Item may contain errors, is or could be subject to a third-party claim or for any other good faith reason, Licensee shall comply with such instruction as promptly as reasonably possible. comply with its express obligations under this Agreement. Licensee shall use the Marks solely in accordance with Licensor's trademark usage guidelines and quality control standards provided from time to time by Licensor. If Licensor notifies Licensee that any use does not so comply, Licensee shall immediately remedy to the satisfaction of Licensor or terminate such use. Licensee shall not use, register or attempt to register in any jurisdiction any Mark that is confusingly similar to or incorporates any of the Licensor's Marks. All uses of the Licensor's Marks, and all goodwill associated therewith, shall inure solely to the benefit of Licensor. Reservation of Rights. Neither this Agreement nor the licenses granted hereunder convey any ownership right in any of the Licensed Content or Licensor's Marks. Except for the express licenses granted in this Agreement, all right, title and interest in and to the Licensed Content and Licensor's Marks are and will remain with Licensor and its licensors. Licensee shall not imply, directly or indirectly, including by displaying the Licensed Content together with content provided by Licensee or third parties, that Licensor provides, endorses, sponsors, certifies or approves of other content included within the Licensee Site or Related Media or any products or services advertised in or near the Licensor's Content. Licensee shall present the Licensed Content and Licensor's Marks in such manner as to avoid any likelihood of confusion as to the source of the Licensed Content and such other materials. Licensee shall remove each Content Item from the Licensee Site and Related Media immediately upon the expiration or earlier termination of the License Term for such Content Item. Required Notices. Licensee shall display with each Content Item or Derivative Work the appropriate copyright and trademark notices and any other source attribution required by Licensor, each as specified and in accordance with the requirements set forth in Schedule 4. Licensee shall not alter, remove or obstruct any such notices or attribution included with any Content Item as delivered by Licensor. fully cooperate with Licensor in addressing such claims. Term. The term of this Agreement commences as of the Effective Date and, unless terminated earlier pursuant to any express provision of this Agreement, shall continue in perpetuity. materially breaches this Agreement, and such breach is incapable of cure or, if capable of cure, fails to cure such breach within ten (10) days after receiving written notice thereof. All licenses granted under this Agreement shall also terminate, and Licensee shall immediately delete from its systems and servers all Licensed Content, Licensor's Marks and any other materials provided by Licensor. Upon Licensor's written request, Licensee shall promptly provide Licensor with written certification of such deletion. Licensor shall promptly pay all unpaid fees due to Licensee for that relate to the period prior to the effective date of expiration or termination. Surviving Terms. The provisions set forth in the following Sections, and any other right or obligation of the parties in this Agreement that, by its nature, should survive termination or expiration of this Agreement, will survive any expiration or termination of this Agreement: Section 5.3, this Section 5.4, Section 6, Section 7, Section 8, Section 9 and Section 10.
when executed and delivered by such party, this Agreement will constitute the legal, valid and binding obligation of such party, enforceable against such party in accordance with its terms. DISCLAIMER. EXCEPT FOR THE EXPRESS WARRANTIES IN THIS AGREEMENT, (A) EACH PARTY HEREBY DISCLAIMS ANY WARRANTY, WHETHER EXPRESS, IMPLIED, STATUTORY OR OTHERWISE, UNDER THIS AGREEMENT; AND (B) LICENSOR SPECIFICALLY DISCLAIMS ALL IMPLIED WARRANTIES OF MERCHANTABILITY, FITNESS FOR A PARTICULAR PURPOSE, TITLE AND NON-INFRINGEMENT. By Licensor. Licensor shall indemnify, defend and hold harmless Licensee against all Losses arising out of or resulting from any claim, suit, action or proceeding (each, an "Action") by an unaffiliated third party related to or arising out of a claim that the Licensed Content, Derivative Works, or Licensor's Marks, or Licensee's use thereof solely in compliance with this Agreement, infringes a U.S. intellectual property right of any third party or violates any U.S. Law. No Consequential or Indirect Damages. LICENSEE WILL NOT BE LIABLE UNDER OR IN CONNECTION WITH THIS AGREEMENT FOR INDIRECT, INCIDENTAL, CONSEQUENTIAL, LIQUIDATED, SPECIAL OR EXEMPLARY DAMAGES OR PENALTIES, INCLUDING WITHOUT LIMITATION, LOSSES OF BUSINESS, REVENUE OR ANTICIPATED PROFITS, REGARDLESS OF WHETHER SUCH DAMAGE WAS FORESEEABLE AND WHETHER LICENSEE HAS BEEN ADVISED OF THE POSSIBILITY OF SUCH DAMAGES. Cap on Monetary Damages. LICENSEE'S LIABILITY ARISING OUT OF OR RELATED TO THIS AGREEMENT WILL NOT EXCEED THE AGGREGATE AMOUNTS PAID OR PAYABLE TO LICENSEE FOR THE WORK FOR WHICH LICENSEE PERFORMS FOR LICENSOR. maintain the Disclosing Party's Confidential Information in confidence and, subject to Section 9.2 below, not disclose any of the Disclosing Party’s Confidential Information without the Disclosing Party's prior written consent; provided, however, that Recipient may disclose the Disclosing Party's Confidential Information to its officers, employees, consultants and legal advisors ("Representatives") who: (i) have a "need to know" for purposes of the Recipient's performance under this Agreement, (ii) have been apprised of this restriction; and (iii) are themselves bound by nondisclosure restrictions at least as restrictive as those set forth in this Section 9.1. The Recipient shall be responsible for ensuring its Representatives' compliance with, and shall be liable for any breach by its Representatives, of this Section 9. The Receiving Party shall employ the same efforts it uses with respect to its own confidential information to safeguard the Disclosing Party's Confidential Information from use or disclosure to anyone other than as permitted hereby. is received by the Recipient from a third party who is not under any obligation to the Disclosing Party to maintain the confidentiality of such information. disclose only the portion of Confidential Information that it is legally required to furnish. If a protective order or other remedy is not obtained, or the Disclosing Party waives compliance, the Recipient shall, at the Disclosing Party's expense, use reasonable efforts to obtain assurance that confidential treatment will be afforded the Confidential Information. Further Assurances. Upon a party's request, the other Party shall, at its sole cost and expense, execute and deliver all such further documents and instruments, and take all such further actions, necessary to give full effect to the terms of this Agreement. Relationship of the Parties. The relationship between the parties is that of independent contractors. Nothing contained in this Agreement shall be construed as creating any agency, partnership, joint venture or other form of joint enterprise, employment or fiduciary relationship between the parties, and neither party shall have authority to contract for or bind the other party in any manner whatsoever. Public Announcements. Neither party shall issue or release any announcement, statement, press release or other publicity or marketing materials relating to this Agreement or, unless expressly permitted under this Agreement, otherwise use the other party's Marks, in each case, without the prior written consent of the other party, which shall not be unreasonably withheld or delayed. For purposes of this Agreement, (a) the words "include," "includes" and "including" are deemed to be followed by the words "without limitation"; (b) the word "or" is not exclusive; (c) the words "herein," "hereof," "hereby," "hereto" and "hereunder" refer to this Agreement as a whole; (d) words denoting the singular have a comparable meaning when used in the plural, and vice-versa; and (e) words denoting any gender include all genders. Unless the context otherwise requires, references in this Agreement: (x) to sections, exhibits, schedules, attachments and appendices mean the sections of, and exhibits, schedules, attachments and appendices attached to, this Agreement; (y) to an agreement, instrument or other document means such agreement, instrument or other document as amended, supplemented and modified from time to time to the extent permitted by the provisions thereof; and (z) to a statute means such statute as amended from time to time and includes any successor legislation thereto and any regulations promulgated thereunder. The parties intend this Agreement to be construed without regard to any presumption or rule requiring construction or interpretation against the Party drafting an instrument or causing any instrument to be drafted. The exhibits, schedules, attachments and appendices referred to herein are an integral part of this Agreement to the same extent as if they were set forth verbatim herein. Headings. The headings in this Agreement are for reference only and do not affect the interpretation of this Agreement. Entire Agreement. This Agreement, together with the Terms and Conditions of the Licensee Site, as well as the [LIST SERVICES AGREEMENT] and any other documents incorporated herein by reference, constitutes the sole and entire agreement of the Parties with respect to the subject matter of this Agreement and supersedes all prior and contemporaneous understandings, agreements, representations and warranties, both written and oral, with respect to such subject matter. In the event of any inconsistency between the statements made in the body of this Agreement, the related exhibits, schedules, attachments and appendices and [LIST SERVICES AGREEMENT], this Agreement shall govern. No Third-Party Beneficiaries. This Agreement is for the sole benefit of the parties hereto and their respective successors and permitted assigns and nothing herein, express or implied, is intended to or shall confer upon any other Person any legal or equitable right, benefit or remedy of any nature whatsoever, under or by reason of this Agreement. Amendment and Modification; Waiver. No amendment to or modification of or rescission, termination or discharge of this Agreement is effective unless it is in writing, identified as an amendment to or rescission, termination or discharge of this Agreement and signed by an authorized representative of each party. No waiver by any party of any of the provisions hereof shall be effective unless explicitly set forth in writing and signed by the party so waiving. Except as otherwise set forth in this Agreement, no failure to exercise, or delay in exercising, any rights, remedy, power or privilege arising from this Agreement shall operate or be construed as a waiver thereof; nor shall any single or partial exercise of any right, remedy, power or privilege hereunder preclude any other or further exercise thereof or the exercise of any other right, remedy, power or privilege. Severability. If any term or provision of this Agreement is invalid, illegal or unenforceable in any jurisdiction, such invalidity, illegality or unenforceability shall not affect any other term or provision of this Agreement or invalidate or render unenforceable such term or provision in any other jurisdiction. Upon such determination that any term or other provision is invalid, illegal or unenforceable, the parties hereto shall negotiate in good faith to modify this Agreement so as to effect the original intent of the parties as closely as possible in a mutually acceptable manner in order that the transactions contemplated hereby be consummated as originally contemplated to the greatest extent possible. Governing Law; Sumbission to Jurisdiction. This Agreement shall be governed by and construed in accordance with the internal laws of the State of New York without giving effect to any choice or conflict of law provision or rule (whether of the State of New York or any other jurisdiction) that would cause the application of Laws of any jurisdiction other than those of the State of New York. Any legal suit, action or proceeding arising out of or related to this Agreement or the licenses granted hereunder shall be instituted in the federal courts of the United States or the courts of the State of New York in each case located in the city of New York and County of New York, and each party irrevocably submits to the [exclusive] jurisdiction of such courts in any such suit, action or proceeding. Service of process, summons, notice or other document by mail to such party's address set forth herein shall be effective service of process for any suit, action or other proceeding brought in any such court.